This year, I saw 55 movies in theatres in both Arizona and Iowa (56 after this weekend, most likely), and I enjoyed over half of them. Below is my ranking of the movies I saw in 2013, based on how much I enjoyed them. Thanks to Harkins Theatres for the free popcorn (with my shirt) and the cheap sodas (with my refillable cup) and to mom for the shirt and cups as last year's Christmas gifts! 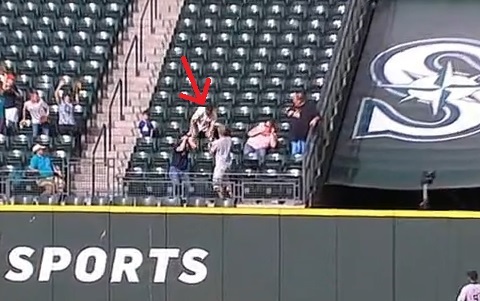 Everyone knows the ultimate goal when sitting in the bleachers at a baseball game is to snag a home run, and someone at today's White Sox-Mariners game did just that - a grand slam home run, no less, off the bat of Kyle Seager. 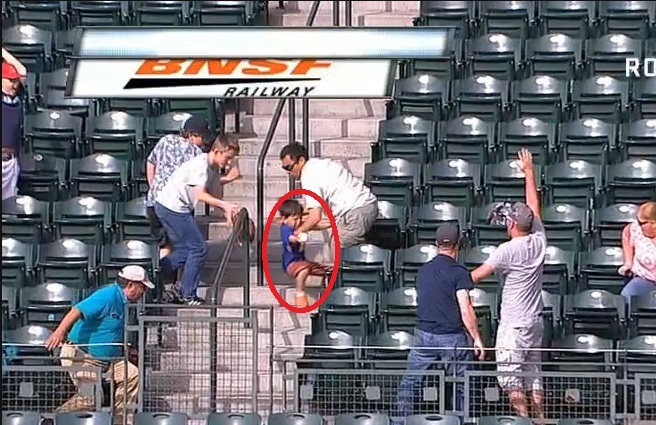 But while the announcers showed replays of the home run, all I could see was one poor little kid who should have gotten a baseball and didn't, thanks to the carelessness of another fan (that I think was his dad). Therefore, I present to you How NOT To Get A Baseball At A Game (a pictoral representation in four photos). 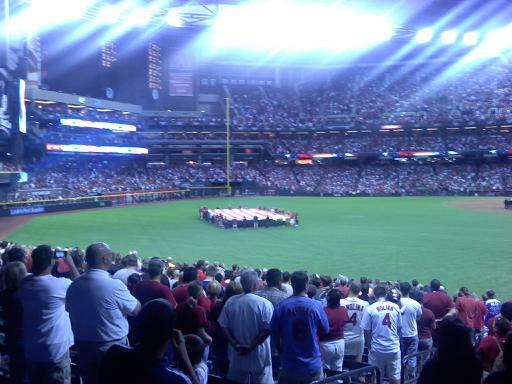 Image 1: Here we see the stands in left-center-ish field. 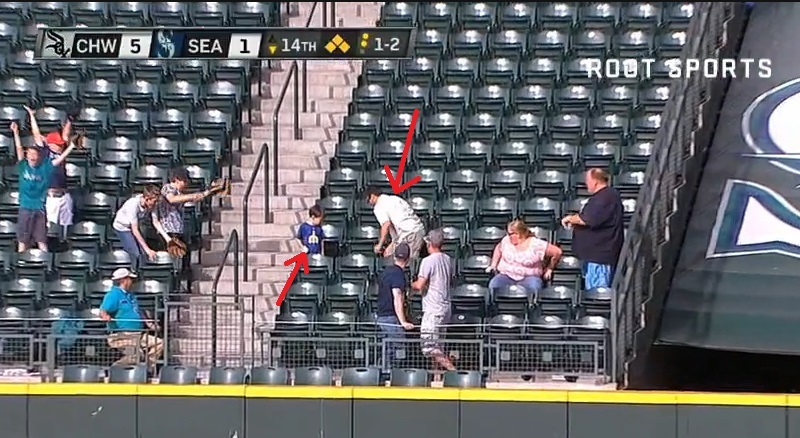 Kyle Seager has just mashed a ball out there, and it falls a few rows behind the wall, just in front of the man in the white shirt. Image 2: Clearly, the man did not catch the ball cleanly, and he begins his hunt for said ball. We also see in this photo what can only be presumed to be the man's son, in the blue Mariners shirt standing nearby, holding his own baseball, perhaps from batting practice earlier in the day. Image 3: The man has now spotted the ball somewhere in the center aisle, and his tunnel vision is focused so intently on obtaining his prize that he has forgotten that he is a father, let alone that his son is standing nearby. He runs his own flesh and blood down, sending the kid sprawling backwards! 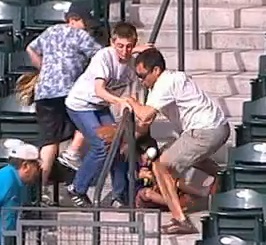 Image 4: The kid goes flying to the concrete and whacks his head on a nearby railing, dropping his own baseball as dad goes running after the homer. It is unclear whether or not dad got the home run ball because the video reverts to Seager's home run trot. Watch where you're going out there, people...! I am officially a Master's degree holder from the University of Arizona today! Yesterday was my graduation celebration, and it was really very nice (if a long day). My day started with my being mostly unable to sleep in anticipation of all the events, so I got up and got showered and put together fairly early (for me). I was out the door by 8:30am on my way to the SIRLS Convocation ceremony. Once I arrived at Crowder Hall on campus for the ceremony, I got dressed in my cap and gown, and met my parents outside. The ceremony itself was brief, but intimate and very nice. The SIRLS director, Bryan Heidorn, spoke and presented a couple awards to faculty and staff who were leaving the school, and then the former director Jenna Bradley gave a guest speech about the future and our place over our new and hopefully long and prosperous careers as librarians and information scientists. Finally, Tom Wilding, the SIRLS advisor and everyone's favorite professor, read off our names as we crossed the stage, were hooded, and received faux diplomas (which I may very well frame and hang in my office this week). Afterwards, there was a reception, but we decided not to attend in favor of trying to find lunch and get to the Tucson Convention Center for the second ceremony. The second ceremony at the convention center was for all of SBS (the College of Social and Behavioral Sciences) and included my school along with things like Political Science, Economics, and Geography, among others. The Dean of the University of Arizona spoke, and there was a guest speaker from Australia. Everyone got their names read, and it was generally a nice ceremony. The only downside was that the undergrads sitting directly behind me had gotten completely liquored up beforehand and were obnoxiously commenting throughout the ceremony. They were talking the entire time, and it made it hard to hear the speakers. After their names were called, they all took off (before the ceremony had concluded, which I thought was incredibly rude) to presumably party some more. I met Mom and Dad back at our cars, and we went and had lunch at Denny's, before they took off back to Phoenix and I went to my hotel to relax. There was a third ceremony for the entire University's graduating class at 7:30pm that night, but I decided not to go because I was tired and didn't feel like standing in more lines. And anyway, no one was there to watch, so it wasn't so big a deal. Now that everything's over and I'm back home in Phoenix, I find myself happy that I accomplished the degree, yet kind of depressed that my formal education is over. I may yet some day go back and get a Ph.D. or something, but to have reached the end of school, which has been a huge part of my life for so many years, is very bittersweet. I don't know where my 5-year future is going to take me yet, but I hope I can retain my love of learning and parley that into a long-term career that I can enjoy. Good morning, all! Today is my big day: graduation from the University of Arizona with my Master's in Information Resources and Library Science (MLS). I'm blogging this from my hotel room, having come down to Tucson a day early to try to rest up before this long day begins. I even got a rental car (the first time I had done so since 2007). It's a red Toyota Prius, and while it is a little small for someone of my height, I actually rather like it. It's got bells and whistles, a hybrid gas-electric engine, some kind of charging system for the battery that uses kinetic energy from the brakes to charge, a touch screen radio system, digital display for the odometer and speedometer, and it's a push-button start (no key). I got it from the airport yesterday early morning and took it back to my apartment for a little bit while I finished packing and doing some dishes before my trip down here. Perhaps good timing, as my water pressure went down considerably just after I did a load in the dishwasher. The drive down to Tucson was (mostly) uneventful. Traffic was moderately light the whole way, although there was one snafu - a gravel truck had spilled its entire load all over the highway about 30 miles outside of Tucson and it caused a complete shutdown of the highway. All four lanes of traffic were diverted to the left shoulder of the road, through which the cleanup crew had created a bypass. It took about an hour to go about two miles to get through it, but it wasn't terrible. Once I got into the city, I got to my hotel room, which was the same building I'd used the last time I was here for my Preservation class two summers ago. The room is a single studio room with a tiny kitchen and a decent bathroom, a desk, and a very small television. At least there's plenty of light from the four lamps/fixtures. Today, the plan is for me to be very busy. There are three entities which are having graduation ceremonies today: SIRLS, which is my specific program, SBS, which is the college my program (and many others) is in, and the UA ceremony, which features all university graduates. At 9:30am, there is a SIRLS convocation ceremony at Crowder Hall on campus where I will be "hooded" - which is apparently the entire point of graduating with a Master's degree. Then at 1pm, there is a ceremony for all the SBS students with individual recognition of each graduate (kind of like my high school graduation, I understand). And finally, at 7:30pm, there is the big university ceremony. Master's students get recognition as a giant group of Master's students, but they're not going to read names. I expect to be completely drained by the end of all this (in a good way), and so I have my hotel room for one more night down here before I come back up to Phoenix tomorrow morning. I'll probably post another blog and photos once I have them. My family is coming down for the ceremony, as are a couple good friends, so it should be a great time! Well, it's officially official. I accumulated enough points in my classes to make the cut for As and Bs in each course. That means that on this coming Friday, May 10, I will be able to walk and get my mock diploma (the real one will arrive in a couple months from the printer). I'm heading down to Tucson on Thursday (even rented a car and everything!) and staying Thursday night, doing all the graduation-y stuff throughout the day on Friday, and coming home Saturday morning. My parents will be in town, so they're going to come to Tucson for Friday's festivities and then we will have some sort of party on Saturday. Several of my friends are also planning to make the trek down to Tucson for the ceremony too, which is very nice of them all! On Monday, my boss and colleagues are taking me out for dinner, too, so that'll be fun! I'm really glad to just be done with it all and not have to worry about deadlines for papers anymore. The way my job is going, now I'll be better able to focus on work and doing good things there, and it looks like I'm going to be there for a while. I'm going to be starting a prospective research project with some of the neurosurgical residents at the hospital (by which I mean, I do data entry and they do surgery). That project is going to be about operating room traffic and surgical site infections, and will take about a year, but I'll be listed as the third author on the published paper. I also just got listed as the second author on a chapter in the Barrow Quarterly publication on acoustic neuromas. I edited the paper, picked out all the illustrations, and wrote exactly one sentence-paragraph in the paper, which got changed a little by one of the higher-ups, but my name's on it, so that's awesome! It's going to be distributed to neurosurgeons from around the country at the Barrow Symposium in a couple of weeks. Here we go again. Another member of Congress has decided to introduce an amendment to the Commerce, Justice, Science, and Related Agencies Appropriations Act which would ban the National Science Foundation from spending money on political science research. And if this story seems familiar, it should. I wrote about Senator Tom Coburn's (R-OK) amendment to the 2010 CJSRA Appropriations Act which would have done the same thing back in October 2009 in my post Is Political Science a Science? You can read the particulars of that fiasco by clicking on the link, but the gist is, Sen. Coburn submitted the amendment, which read, "None of the funds appropriated under this Act may be used to carry out the functions of the Political Science Program in the Division of Social and Economic Sciences of the Directorate for Social, Behavioral, and Economic Sciences of the National Science Foundation." So two nights ago, attached to the 2013 CSJRA Appropriations Act (HR5326), Congressman Jeff Flake (R-AZ06) submitted House Amendment 1094: "None of the funds made available by this Act may be used to carry out the functions of the Political Science Program in the Division of Social and Economic Sciences of the Directorate for Social, Behavioral, and Economic Sciences of the National Science Foundation." Eerily similar to Sen. Coburn's amendment, which failed to pass in 2009. Earlier that day, Congressman Flake attempted to cut over $1.2 billion from the NSF budget in order to save taxpayers from purportedly frivolous scientific research studies in everything from biology to sociology to astronomy, and tried to convince the chamber that NSF spending should be brought back to 2008 pre-stimulus levels (the 2011 NSF budget was approximately $6.8 billion - about the same level as the country of Singapore spends on their National Science Foundation). In advocating for the anti-political science amendment, Congressman Flake, who holds a Master's degree in political science himself, it must be said, called government funding of political science research "a meritless program" (Congressional Record H2543) and espoused that since 75% of the grants being given by NSF were going to large universities, shutting down the NSF political science grant programs wouldn't make much of a difference anyway. On behalf of the 25% minority (and the 75% majority regardless of the numbers) I beg to differ. "You'll be pleased to know that my amendment to the Commerce/State/Justice appropriations bill to prohibit more spending on questionable political science studies passed early this morning by a vote of 218-208. One of the studies taxpayers recently funded, for $200,000, asked 'Why political candidates make vague statements.' I guess it's because...well, because, well, our children are our future?... Enough said. 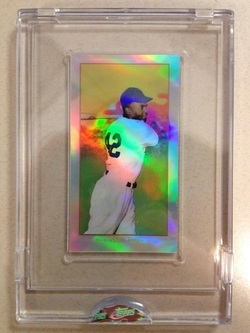 Good riddance to this waste of your money! "The study Congressman Flake cites is NSF Award #0921283, given to a pair of researchers collaborating on the research question of "why do candidates employ ambiguity, and what are the consequences?" (Please note that nowhere in the award do they ask the question "why do candidates make vague statements?" This is ambiguity on the part of Congressman Flake.) The award was handed out in 2009 (not exactly recently, given that most research studies of this nature take less than two years to complete) for $216,884. The project involves undergraduate and graduate students helping practice doing scholarly research and employs potentially innovative new methods for experimentally studying campaigns. Surely the congressman, with his Master's in political science, realizes that the advancement of research and scientific knowledge depends on studies like these. What's even more interesting to me is that Congressman Flake has singled out the NSF political science research as something that is going to save taxpayers money. In fact, it's not "good riddance to this waste of your money" at all. Congressman Flake's amendment doesn't cut any money from NSF's budget. It redirects the funds that were going to be spend on political science research questions to other hard science or social science research questions. Instead of "Why political candidates make vague statements," the money could be going to "Peer Influence and Aesthetic Taste" (Award #1203426 researching if people's opinions are influenced by what other people think) or "Major and Minor Element Ordering in Minerals" (Award #8318674). Both of these studies have just as much - or in Congressman Flake's case, just as little - merit as any political science research funded by NSF. So why the war on political science? Sadly, this cut-everything Congress decided that NSF's political science funding deserved to be transferred to other departments, and late Wednesday night (Thursday morning in DC), H Amdt. 1094 passed the House of Representatives by a roll call vote of 218-208 with five not voting. Five Democrats sided with 213 Republicans to pass the amendment, while 27 Republicans and 181 Democrats had a little more respect for scientific research. This has been Congressman (and current Senatorial candidate) Jeff Flake's big problem for me: he tends to focus on issues which sound great to fiscal conservatives - cutting poli-sci money from a big government science foundation - but which really make absolutely no difference in the grand scheme of reforming anything in Washington DC. Even the Congressman's quest to eliminate earmarks, while a good idea, hasn't really resulted in saving the taxpayer any money. That money that would have been hidden as an earmark in some giant bill somewhere simply got shunted off and spent on some other program that Congressman Flake probably had just as much of a problem with. I keep wondering why the most conservative member of Congress - as he is consistently voted by a variety of groups - doesn't use his influence and his stature to tackle entitlement reforms for Medicare/Medicaid, cut spending to the bloated Department of Defense, or work on the other actual problems this country faces instead of spending time and energy trying toredistribute money for political science research! The congressman calls many of the studies done by NSF "meritless" and questionable. I have to wonder who he is that he can prognosticate the future and know what research will be valuable and what will not. I also wonder why he thinks it is a good idea for the federal government to be in the business of telling people what science is questionable. That kind of thinking leads in one direction: toward government control of ideas and knowledge, and you get "1984" all over again. Congressman Flake has disappointed me with this amendment, but there is hope. The Senate and the House will have to meet in conference committee to hash out the differences between their passed versions of the Act. It is possible that the amendment will be taken out during that time. I urge everyone who reads this to contact Congressman Flake's office at the numbers below and make your voices heard. It might not be a bad idea to let your own congressmen and women know your thoughts as well! Together we can help beat back a bad idea. Feel free also to leave comments below. I will work to forward any I get to the congressman's office myself.